We still have a few spots open in our Spring semester classes! Please come try a free preview class to see if you’d like to join for the rest of the semester! We’re also excited to announce that later this year, we’ll be welcoming a new teacher to our team, Ms. Laura. 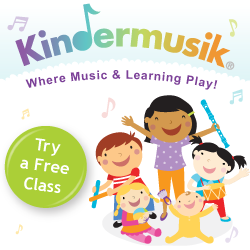 We will offer a free 4 week session to 5 of our lucky Kindermusik families who will take part in Ms. Laura’s practicum class. AND, we will be offering drop-in “Kindermusik Playtime” classes at Play Escape along with another infant Kindermusik weekday class. Our demand for Saturday classes has severely dropped, so we are planning to stop offering Saturday classes unless we have more parents asking for it. We hope to hear from some of our working parents regarding class times and locations to determine whether we should re-establish Saturday classes at any point in time. We are all so thankful for all of our loyal Kindermusik families and we are so glad that Kindermusik is so widely sought out in our community. We are grateful to be able to provide a fun, enriching program for young children in Moore County and we appreciate all of those who have helped to allow us to do so.